RE@L REPOST: "Off You Go Into The Wild Blue Yonder"-STEM Careers in Aviation Can Take You There! Here’s a story about a youngster who always wanted to fly. When he learned how to draw pictures, they weren’t of the sky with birds flying around…. No, his artwork was, instead, drawings of airplanes, and with him at the controls….up far above the birds and even higher than the clouds! Such is the stuff that his dreams were made of. His name is Dan and here’s one of his early artworks on the left. How do I know this? Because, he’s my son, Dan. Dan loved to draw and he loves to fly! Plus, his dreams of flight eventually became a reality. Believe it or not, after his STEM and aviation courses were completed, he actually did fly the same airplane as the one in the painting! A reminder to our new readers that STEM refers to Science, Technology, Engineering and Mathematics. 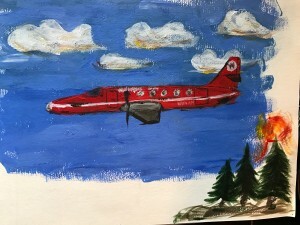 The plane he painted is known as a “Metroliner.” It looks a lot like the one in his drawing on the left above. Dan was a pretty good artist too. 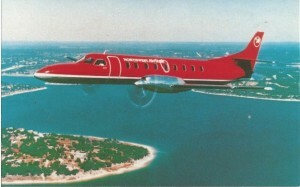 Check out the photo of the actual Metroliner III at the right. Flying is not a simple skill to learn. It takes both study and practice, he was always taught: taking off is optional, landing is not! Believe it or not, STEM courses, Science, Technology, Engineering and Mathematics can really help you learn not only learn to fly, they can help you find a career in the aviation industry. Aviation is a growing industry that is in dire need of qualified pilots. Attritrition or retirement of senior pilots is happening at a rapid rate. Both male and female pilots are needed to fill the gap. It is a career that is rewarding financially, one where an experienced captain can earn well over $200,000 per year. Additionally, there are hundreds of other aviation careers that are appealing and pay well, too, for both women and men. Click on the graphic to the left to learn more. Dan learned those many needed skills some years ago at the University of North Dakota Aviation Program, Here he earned his college degree with a B.S. in Aeronautical Science, Professional Flight and a minor in Meteorology. More on his meteorolgy in a future blog. 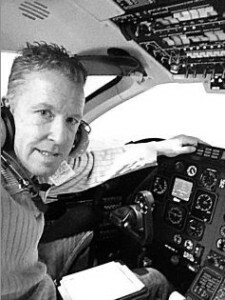 Dan took on various jobs in the aviation industry….from flying different aircraft to supervision of airport services, to managing jet charters. His STEM learning in school proved to be a big helper. 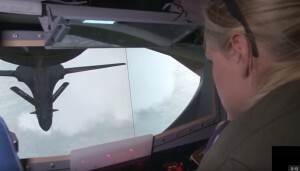 After several years, he found an aviation-related job he loved: developing computer simulated cockpits for the military. 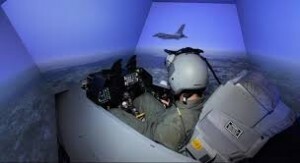 These simulated cockpits revolutionized pilot training. 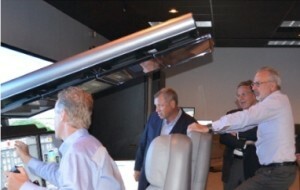 Dan has worked in this new area for many years at L3 Inc, a company that created the first flight simulator over 70 years ago. The newest ones teach a pilot all they need to know to fly an aircraft. 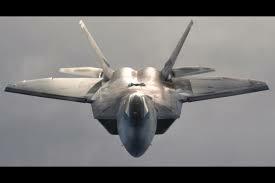 He greatly enjoyed helping make the cockpit simulator for the F-22 Raptor, a military fighter jet that knows no equals, anywhere. 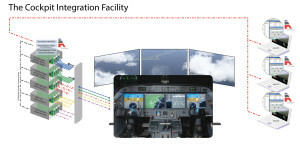 After the required number of hours on the “sim,” (as they call the computer flight simulator), you can walk to the airport tarmac and, after your checklist is completed, you’re off into the wild, blue yonder! To learn more about STEM and aviation careers, we recently interviewed Dan. That’s Dan King’s cockpit photo on the right, below, taken as he was flying a T-1A Jayhawk military jet. There are many other aviation career opportunities, too. Many require STEM courses in middle school, high school, and often college coursework. So, if you have interest, you may want to include STEM courses in your schedule. Here’s a link featuring aviation opportunities for women, called “Fly Like a Girl.” Click here to read it. Not all jobs require STEM, however. There are many other careers to explore in aviation. 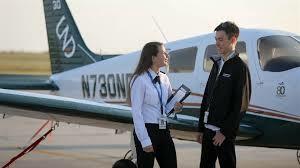 Aviation job-seekers today, both women and men, can find other work in the aviation industry…clerical, technical, repair, maintenance, design, airports….the skies the limit, so to speak. Oh! And one more thing! If you want more than “the sky’s limit,” be sure to check out The Strong Museum’s new exhibit: “Be the Astronaut.” That’s where space has no limit. Click here to see an exciting overview. ← REPOST: What Happened To Our Groundhog? Diverse Students Need More STEM Study To Predict Better Weather & More!